Browse garbage-bags suppliers by country and region. 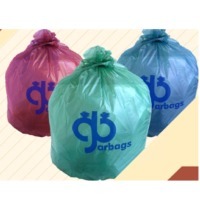 We Can supply Any size of Drawstring Garbage Bags , With Any thickness and Any Color. Materials : Can Be Virgin LDPE or Recycled LDPE . Kindly if you are interested feel free to contact us. Just send me your Sizes Details and let us start good Business relationships. 75*90 : 85lt 80*110 : 90lt 100*120 : 110lt -These products avaible in our stocks ,we can provide different dimenisons accordingly your demand. *. Film color: ANY color is available, such as transparent, white, black, grey, red, orange, yellow, green, blue. *. 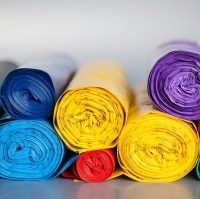 Printing: No Printing, or customized printing. *. Packing: 10 pieces per roll,20 roll per box or Inner packing can be with or without paper label or rubber band. *. MOQ(Minimun Order Quantity) : Normally MOQ per each non-printed items should not be less 3 metric tons. *. Delivery time : Normally 20-30 days after getting LC(Letter of credit) at sight or 30% prepayment. *. Loading port : Port of Mersin or Iskenderun. These products are variety bag groups which are produced for different purposes. These bags are produced in different sizes according to the customers requests. When you look at their colors, you are able to understand what purpose these bags produced. For instance; red colored roll bag is a kind of medical waste used in hospitals and health facilities, black colored bag named household waste is a type of bag which is used in the home environment; blue one is for the glass waste, and the yellow one is classified as hazardous waste. 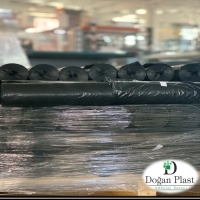 The raw materials of these garbage bags are produced with the raw materials formed by the melting and manufacturing of the rubber nylon and similar wastes, which are produced in accordance with the environmental rules, and made ready for the production of bags. As mentioned at the beginning of this explanatory note, bag sizes are made according to the customers request and delivered to the customers. Short on time? Let garbage-bags sellers contact you. Essential oils, laurel leaves, agri-foods like oil olive, table olive, and citrus, dried foods, recycled LDPE and HDPE products such as granules, rolls, and garbage bags.. The underrated companion of every household: kitchen trash bags Everybody has the one and only expectation using Kitchen trash bags: please keep all these smelly waste and unwanted pieces of junk off my house nice and easy, safe and sound for Gods sake. So the ultimate goal is basically getting rid of these kitchen garbage bags, but hold up a second, if you mind a bit more, there is a good bit of knowledge behind the down-to-earth kitchen trash bags. Coming in any form, big or small, thick or thin, varying with all kinds of neat features but the most crucial nature of kitchen trash bags is durability. All others fancy decorating or advanced technology added to the bags would deem to die in vain if 5 or 10 kgs of dirty left over food are just casually fall off to your beloved, cozy carpet which fit nicely in your shiny living room; yah, these kitchen trash bags are good for nothing, no question ask. Thus, kitchen trash bags technical properties required them to be physically durable, they should be designed to be able to hold up to as much weight as possible without yielding or breaking. Similarly, the film or so call body of kitchen trash bags must be elastic and great tensile strength to withstand high dart drop which is one specific term to evaluate films property. In other word, this factor enables kitchen trash bags to be able to stand up to sharp objects, like the occasional broken coffee mug or sharp box corner. Another handy and worth mentioning element of kitchen garbage bags is odor-blocking. Interestingly enough considering how amazing it is when we think about no amount of air freshener or baking soda would be needed to lure away the terrible smell of rotten garlic or a bulging container of spoiled milk than wrapping them up and kick them out with the little help of a mere kitchen trash bag. Pricy was not, is not and never will be the issue for kitchen trash bags. Generally, a piece of kitchen garbage bag costs from 3 to then most deluxe edition of 10 cent so annually, a normal house hold pays for the extreme of nearly 40 bucks given that consuming rate is once per day. Also that comes without saying in some situation, your kitchen trash bags could be reused for dry waste like paper, plastic package, boxes One more plus for kitchen trash bags nowadays is they could be made ecofriendly, bearing slight new first name: biodegradable kitchen trash bags, how about that! One step for keeping your own home tidy, simultaneously our own home clean is right there: making use of environmentally friendly material. The said enhancement feature would make your regular kitchen trash bags to be naturally consumed by other factors and beings on the surface of earth.